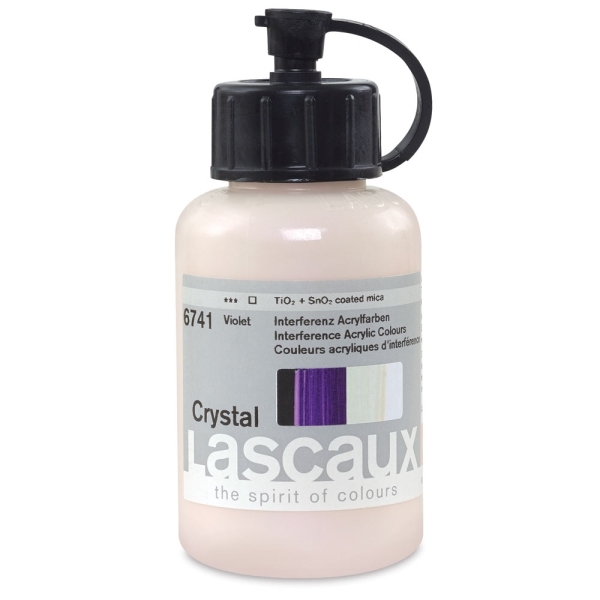 Apply Crystal Acrylics over dark and light surfaces to achieve a variety of effects. On light backgrounds, the colors change into a complementary shade determined by the angle of light. On dark backgrounds, they heighten the gloss of the principle shade.